It’s the morning of a school day, and your child is sick. It’s up to you to decide if they should stay home or go to school, but the decision isn’t always easy. Weighing the severity of your child’s symptoms against the consequences of missing school can result in a tough decision. But you’re not alone in your struggle. Most parents, at some point, must face the decision of whether or not to send a sick child to school -- and opinions on the matter vary widely, a new poll finds. 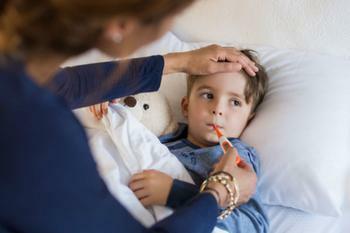 The poll, which included almost 1,500 parents nationwide, revealed that 75% of parents kept their child home sick from school at least once in the past year (mostly over concerns that the illness would get worse or spread to classmates). But parents’ opinions on how sick is too sick differ, according to the University of Michigan C.S. Mott Children’s Hospital National Poll on Children’s Health. Parents of children aged 6 to 9 were more likely to rate health-related concerns as important considerations in keeping kids home from school. But two in five parents of high schoolers placed similar value on missing tests or falling behind in class work, the survey found. Symptoms also influenced parents’ decisions. Most parents (80%) said they were not likely to send a child to school with diarrhea, but rates were lower for vomiting (58%) or a slight fever (49%). Only 16% of parents said they would keep kids home with red, watery eyes but no fever, while a dry cough and no fever was enough for just 12% of parents to call it a sick day. “It can be difficult to predict if a child will feel worse after going to school or how long symptoms of minor illnesses will last, so parents are often basing decisions on their best guess,” Freed said. So, should your child stay home or tough it out at school? For 11% of parents, the answer to this question lies in how much work will be missed; for 18%, it hinges on whether or not someone can be found to stay home with their child. Runny nose, but in good spirits. If your child is sniffling but still playing and eating, doctors recommend sending them to school with extra tissues. However, if symptoms are accompanied by decreased appetite, lethargy, mood change, or breathing difficulty, call your pediatrician. Fever. Keep kids home if the fever persists for more than three days or comes with other symptoms (such as listlessness or vomiting). If the temperature spike is short-lived and kids are still active, doctors say a school day likely won’t hurt. Diarrhea and vomiting. Keep your child home if these symptoms are likely to disrupt the school day, if they are accompanied by pain or fever, or if the child is too young to manage symptoms (by making trips to the bathroom, washing their hands, etc).